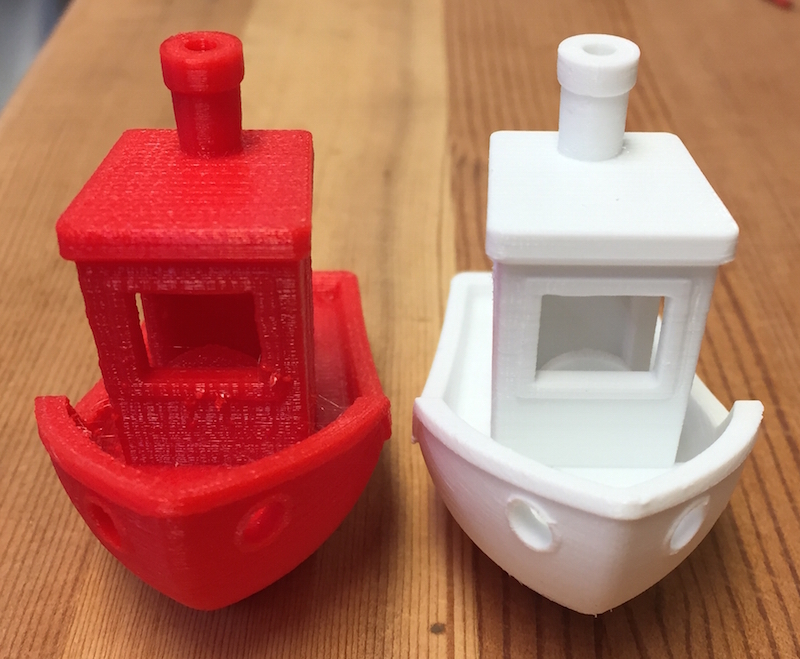 The Ultimaker print looks better in many ways although the comparison is a bit unfair given that white is pretty forgiving while glossy red isn’t. In order to test out some of the capabilities of the new machine I wanted to do a two-color print. 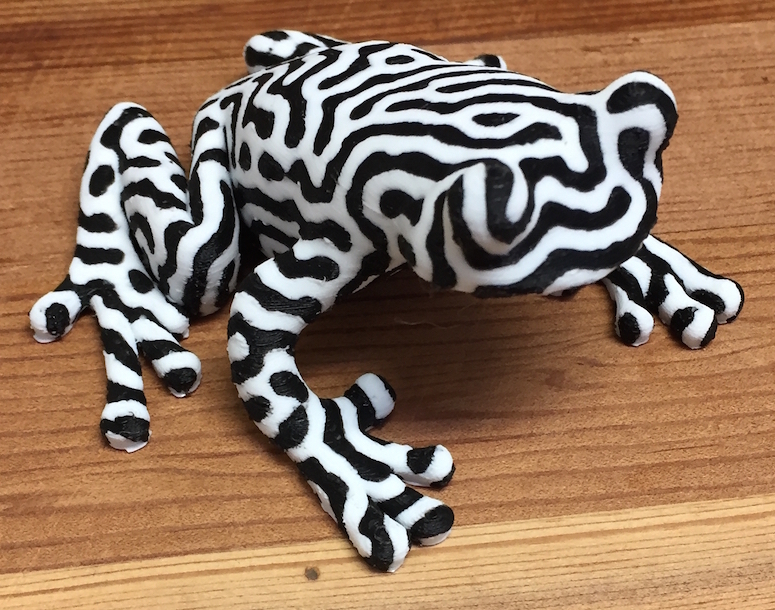 There are many available to download but this two-color frog has struck me as really nice looking and worth having around to showcase the printer’s capabilities. Here’s how it looked after some post-processing (cutting away the “brim” around the outer perimeter mainly). It came out super well just using default settings on everything. 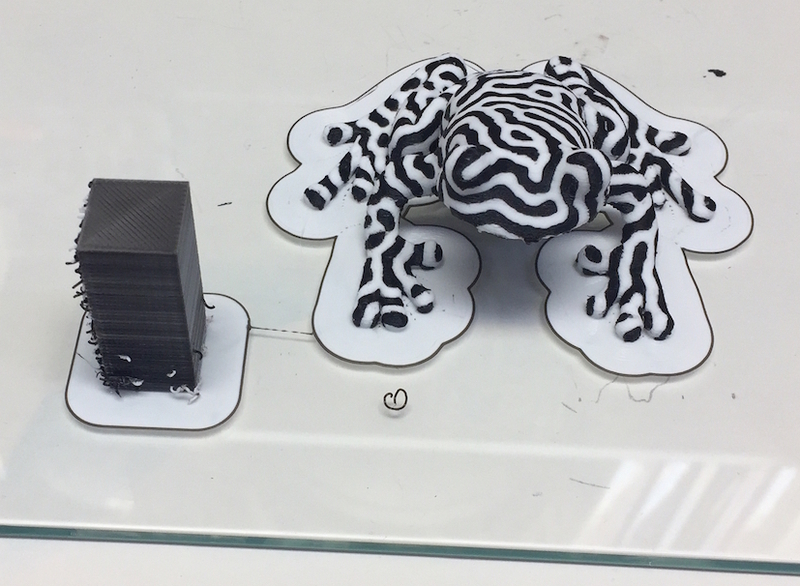 More prints to come, soon with one using the dissolvable support material (PVA). Since the Ultimaker has a heated bed we’re not having to use the blue tape anymore, even for PLA. Keeping the bed pretty warm ensures good adhesion although it can help to add what’s called a “brim” around the base of the part where it attaches to the bed. 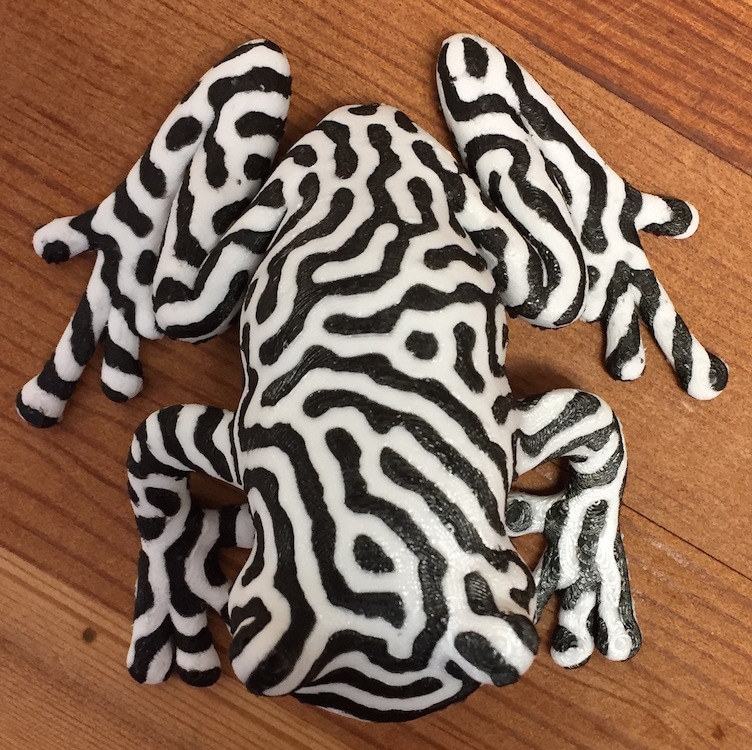 I did that with both prints, here’s a photo of the frog on the bed showing the brim. You can see it even better from the underside. Notice the square post in the photo above next the frog? 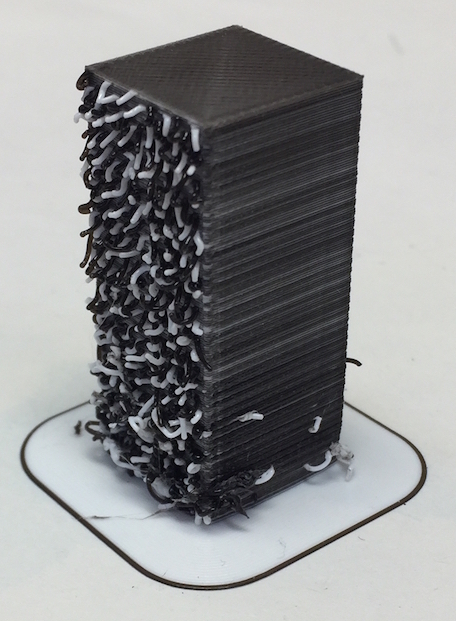 That’s the “prime tower” where the printer clears extrudes a little extra scrap material between colors. 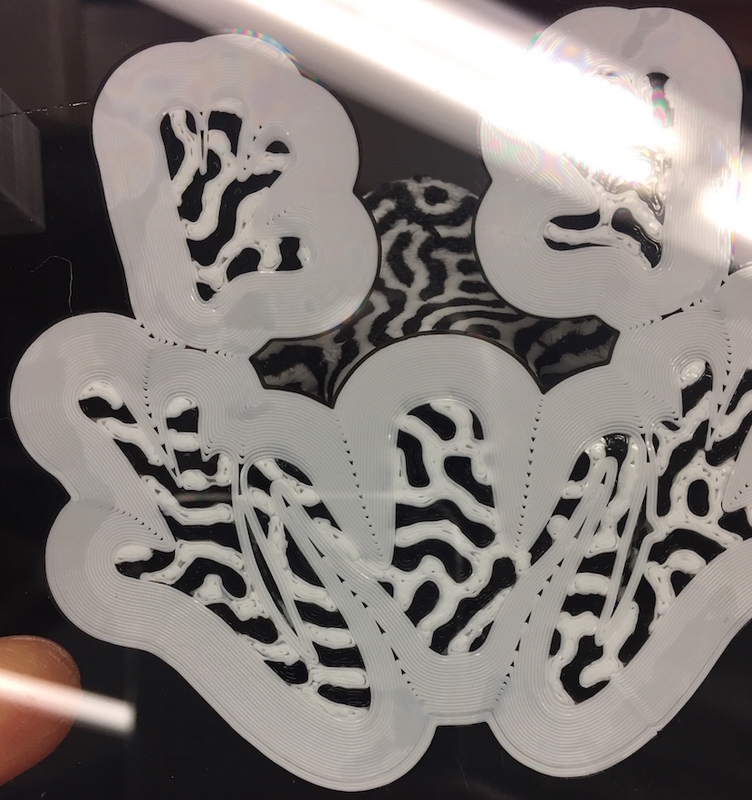 Apparently this improves the quality of the print. I’ll have to learn more but for now things seem pretty good. Here’s a close-up of the tower which is interesting in itself. Getting the brim off the frog was rather labor intensive so I’ll probably skip the brim next time and put down a little glue using a glue stick on the bed before printing. I believe that’ll be more than enough to hold this print on the bed. Previous Previous post: Make a box!